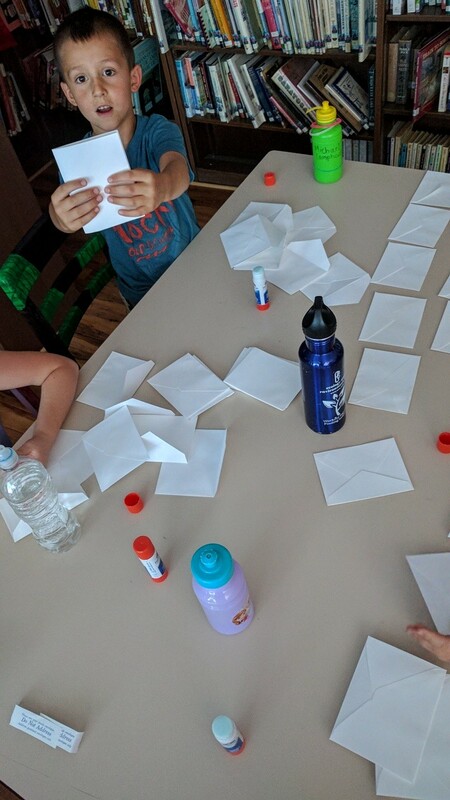 I’ve just noticed that I am more apt to blog about a project before I do it with kids when I am very nervous about how it will turn out. I was very nervous about most of the projects that I wrote about in my last post. 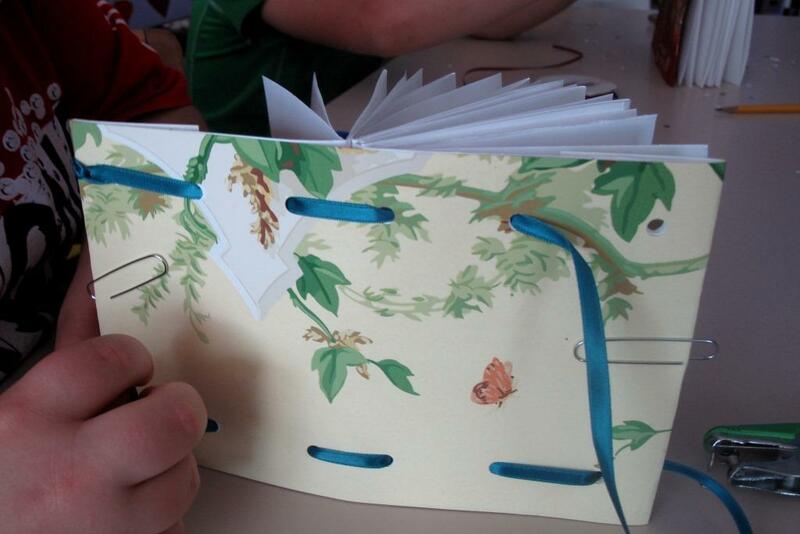 Making beautiful drawing journals in one class period is challenging. 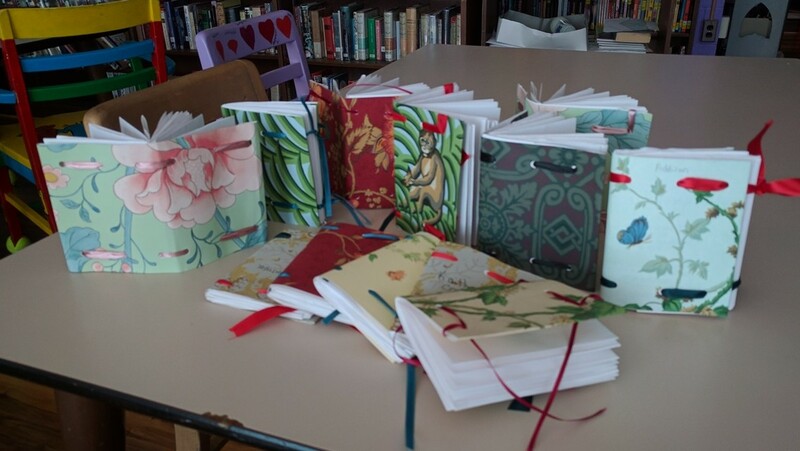 I’m relieved to say that the day of bookmaking went really well. 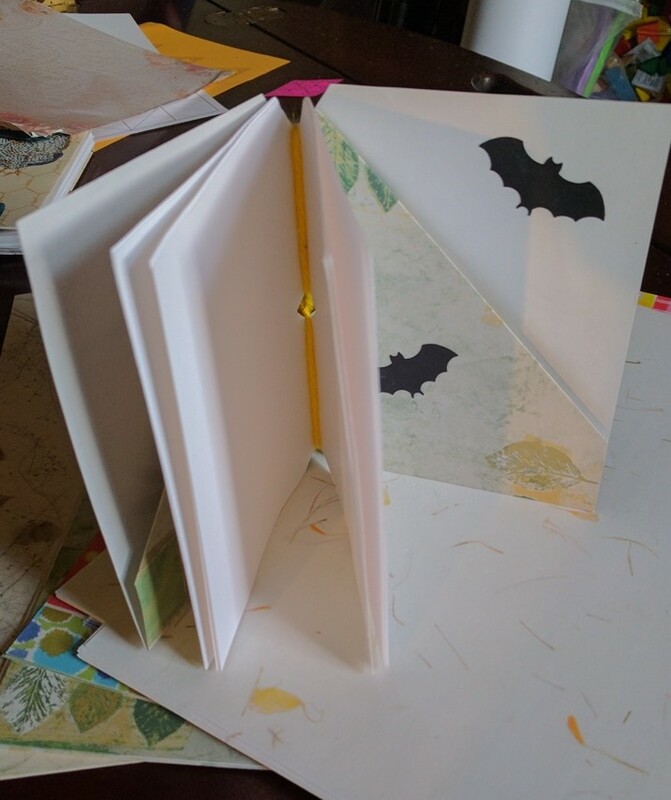 This post will mostly be a photo essay of making five styles of books, with kids ages 4 though 11. 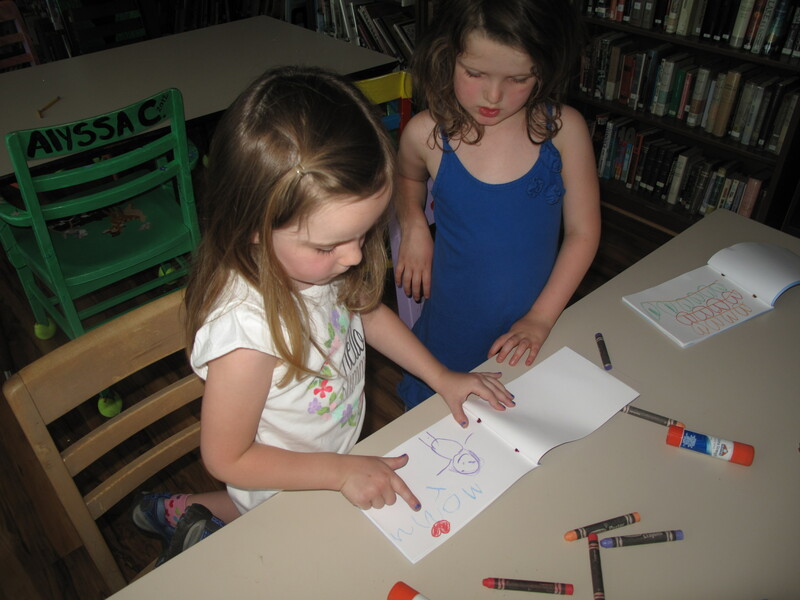 The Pre-K kids immediately started to fill their books with drawings, and lost no time showing off their creations to each other. 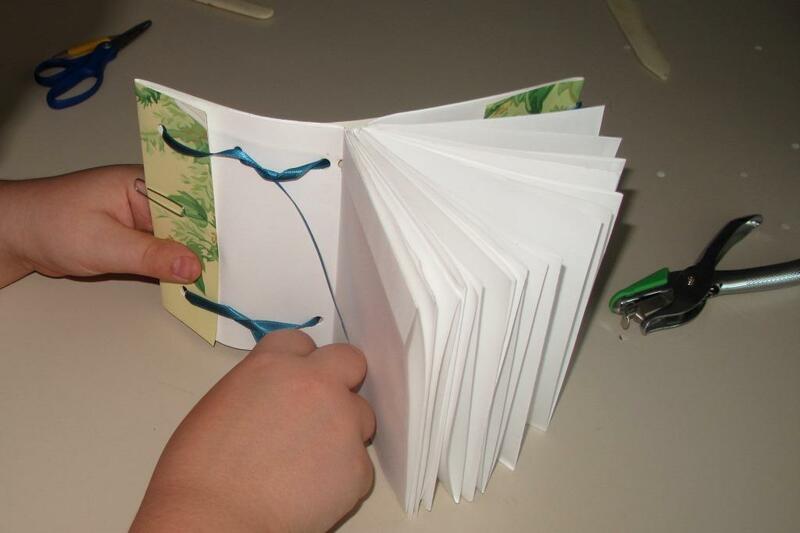 Kindergartners did a simple rubber-band and stick binding. They all wanted to decorate their sticks. Most of the students tended towards making animal shapes with the bling. 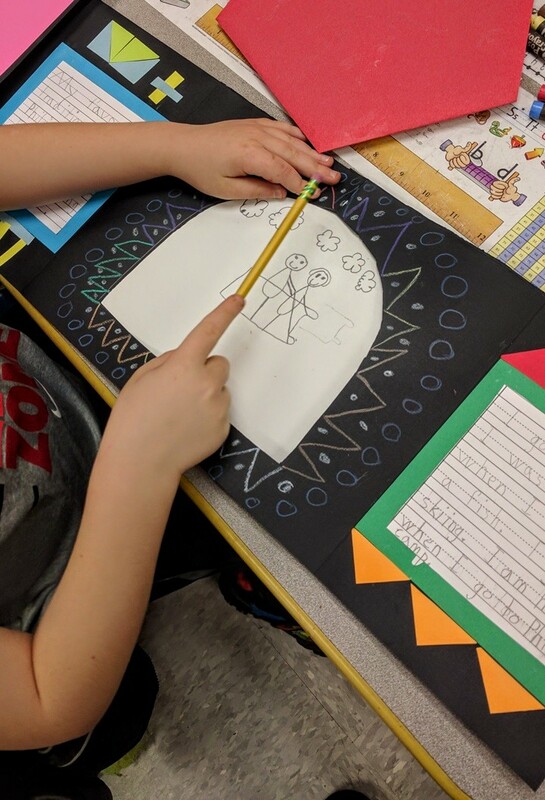 The big surprise of the day, for me, was both how quickly the first graders finished their project and how amazingly beautiful they turned out. 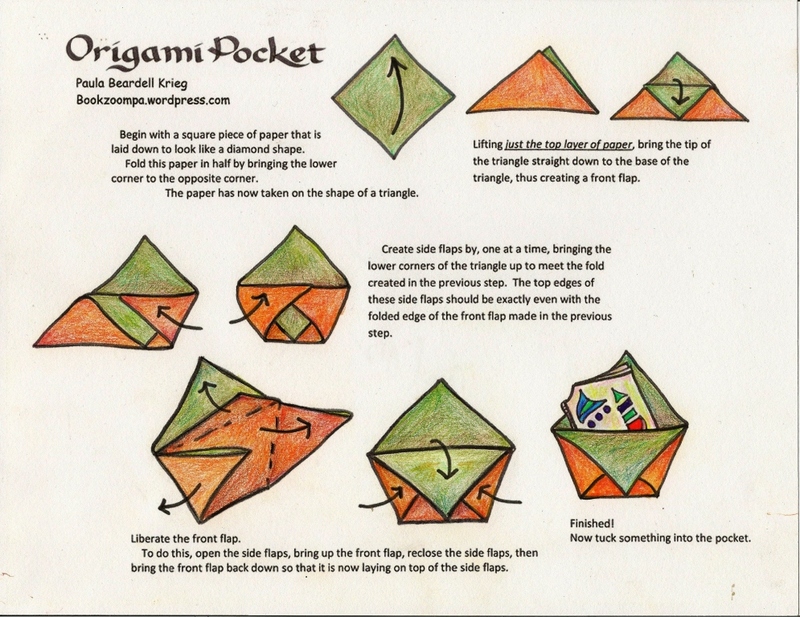 These books took them only twenty minutes to make. Knowing what I know now I would slow the project down and help the kids less. 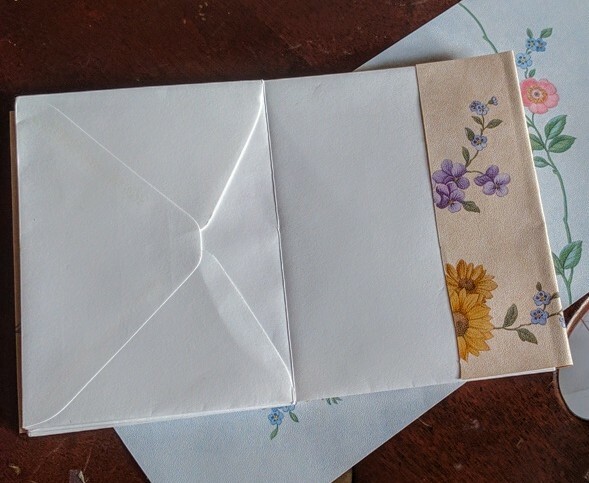 I was so nervous about how this project would go. Wallpaper-sample covers were simply glued on. These look so good to me. 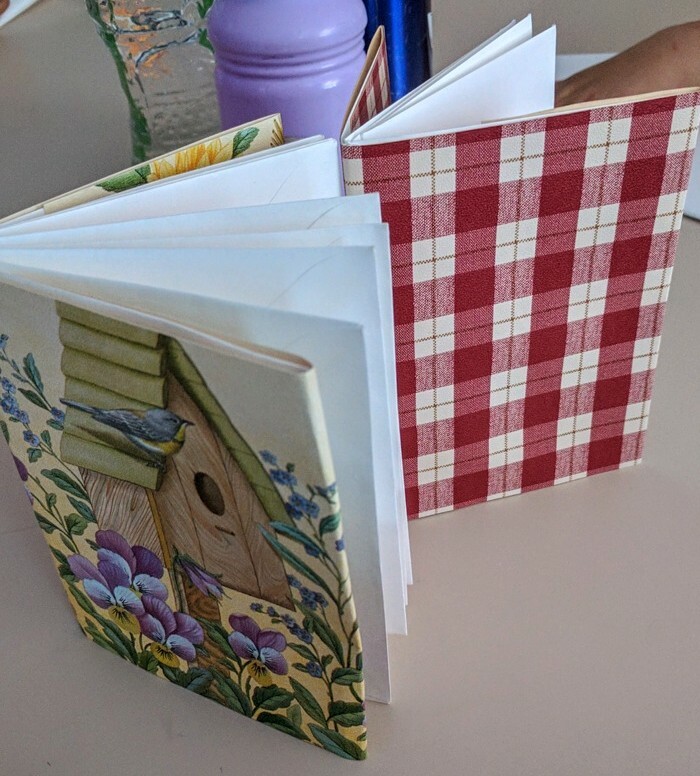 The modified pamphlet stitch book with pocketed covers made by 2nd & 3rd graders was the only project that I’ve done so often with students that I knew it would go well. 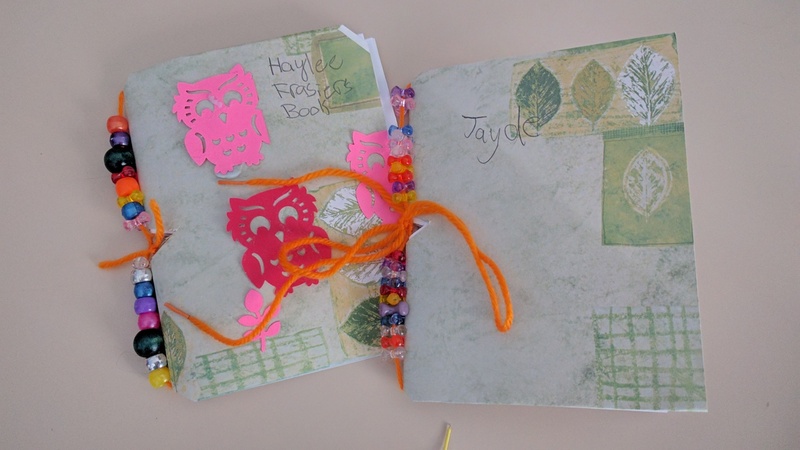 The highlight of the day, for me, was making these sewn journals with 4th & 5th graders. 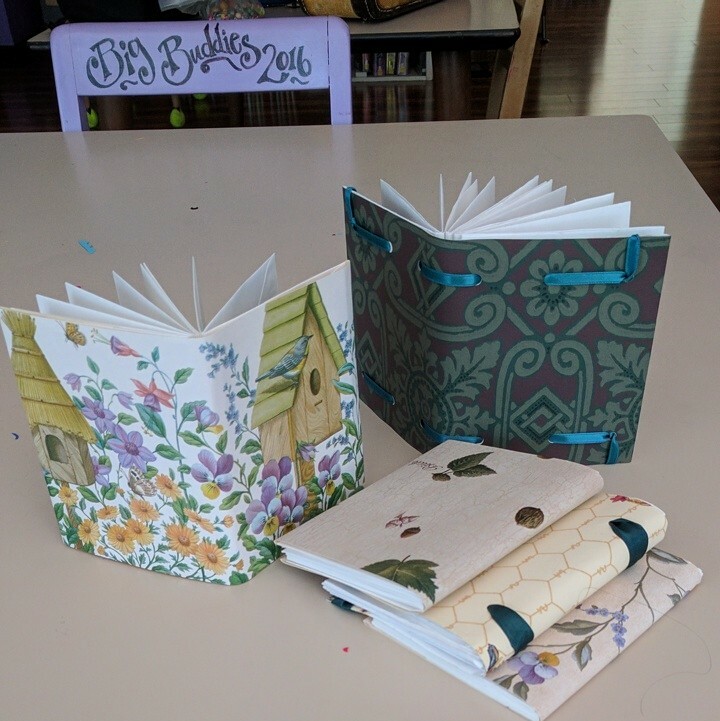 The book block was made from 4 pieces of 11″ x 17″ papers folding into origami pamphlets, then sewn together side-by-side. 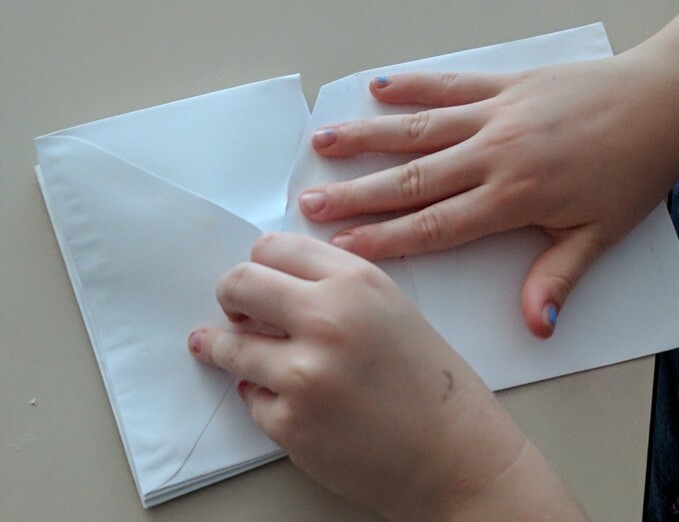 All the holes for sewing were punched by paper punches. 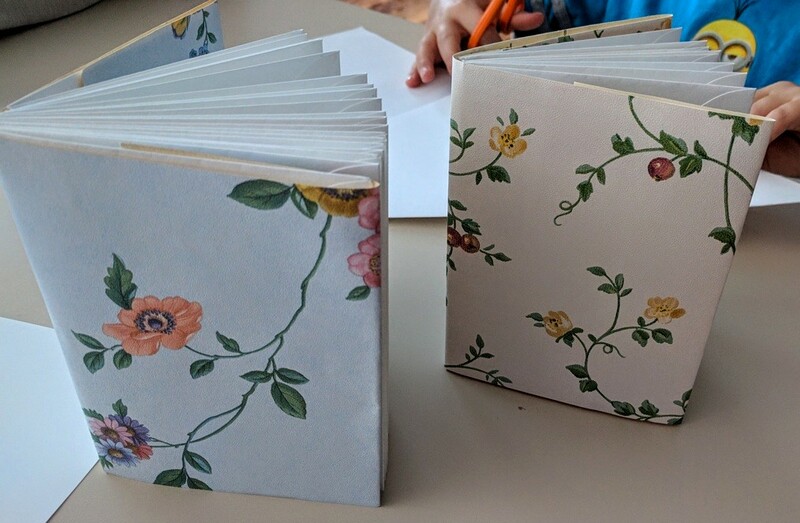 Wallpaper-sample covers were attached by threading ribbons through holes in the cover and endpapers. 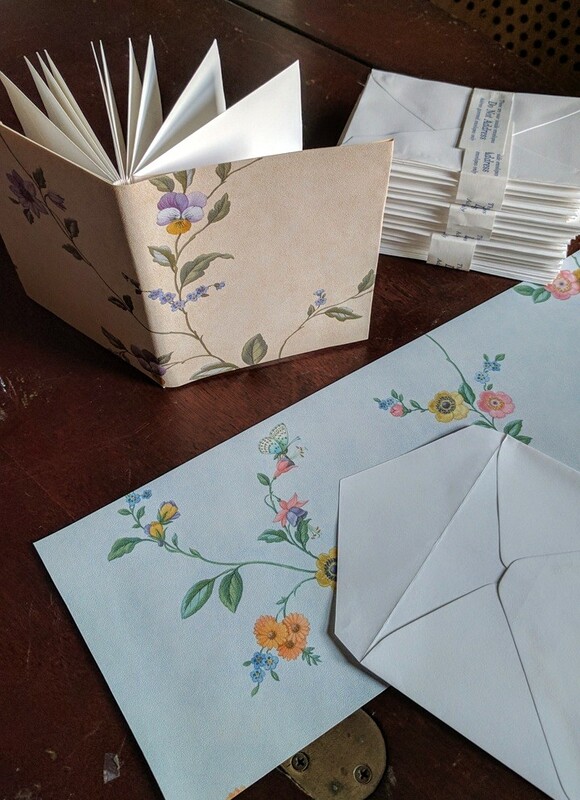 These books, like most of the other books made yesterday, were constructed without glue, The only exception is the envelope books. 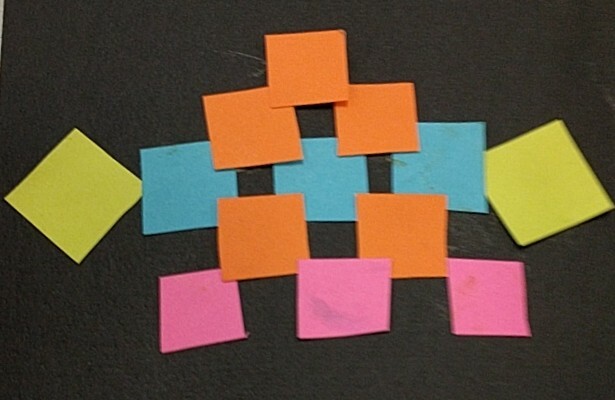 I didn’t exclude the use of glue intentionally, but I guess I think about glueless structures more often than not. This was the last class of this school season. Now I can get back to some housecleaning. I am ending this season happy! 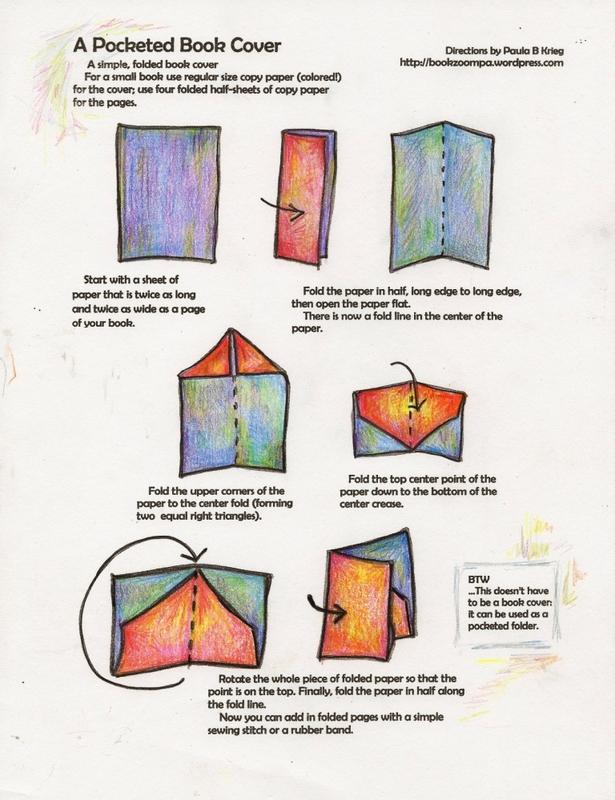 I will be heading up to the Adirondacks in the morning to work with students, helping them make drawing journals. I get thirty to forty-five minutes with each class. 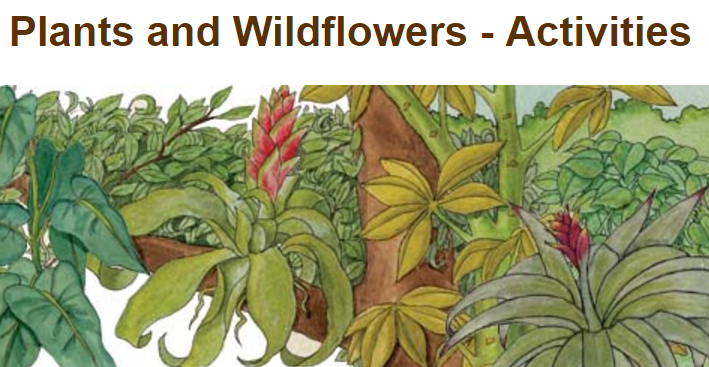 On Tuesday the students spend time with the talented, stupendous, creative scientist/artist Sheri Amsel, who will work with these same students, teaching them to draw nature. I am creating this post as I pack for tomorrow. 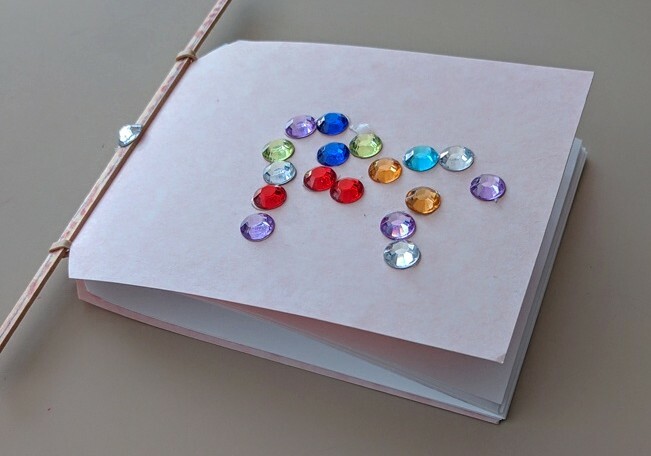 I’ve designed these projects one right after another, and we will be making the books in such a compressed amount of time tomorrow, that I might forget to take photos, and I might forget what we did…I like these projects so much that I don’t want to forget them. 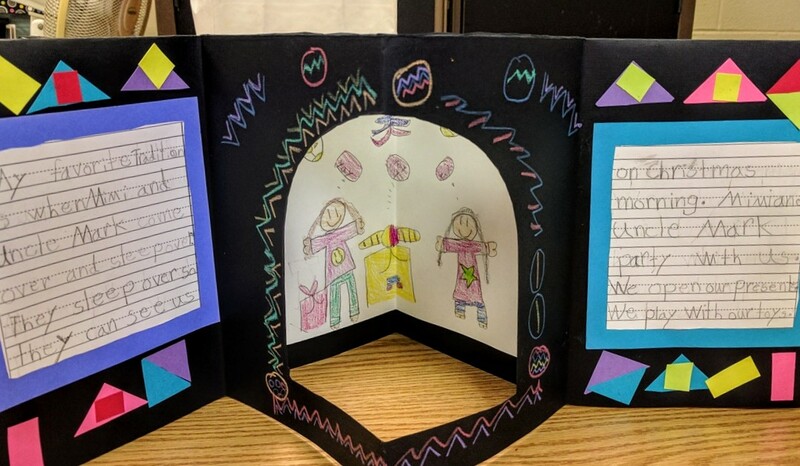 The photo above and the one at the top is the project for the first graders. 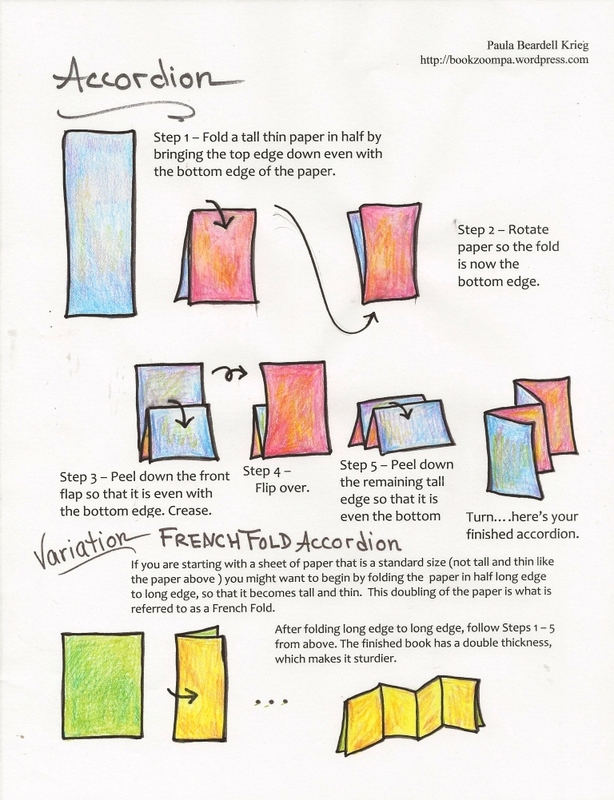 (I am packing the projects in the reverse order that I am seeing the classes -which is how I hope to stay organized.) 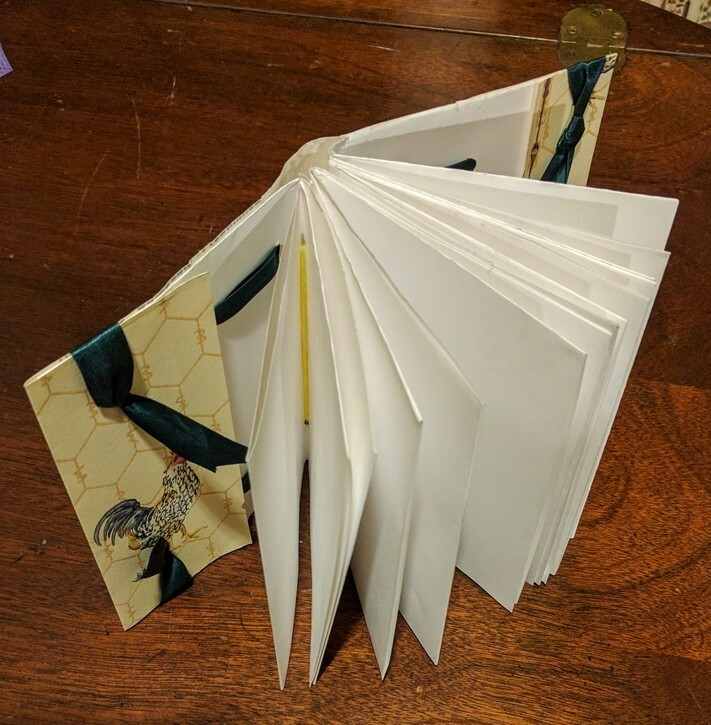 This is a thick little book whose pages are made by sliding the flap of an envelope into another envelope, them repeating until the desired number of pages are achieved. 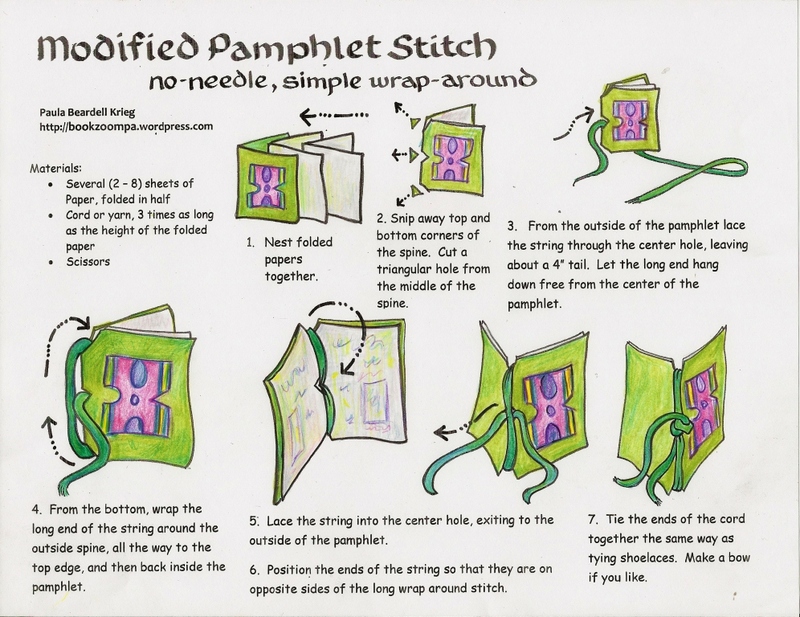 The whole book block gets wrapped in a long piece of decorative paper. 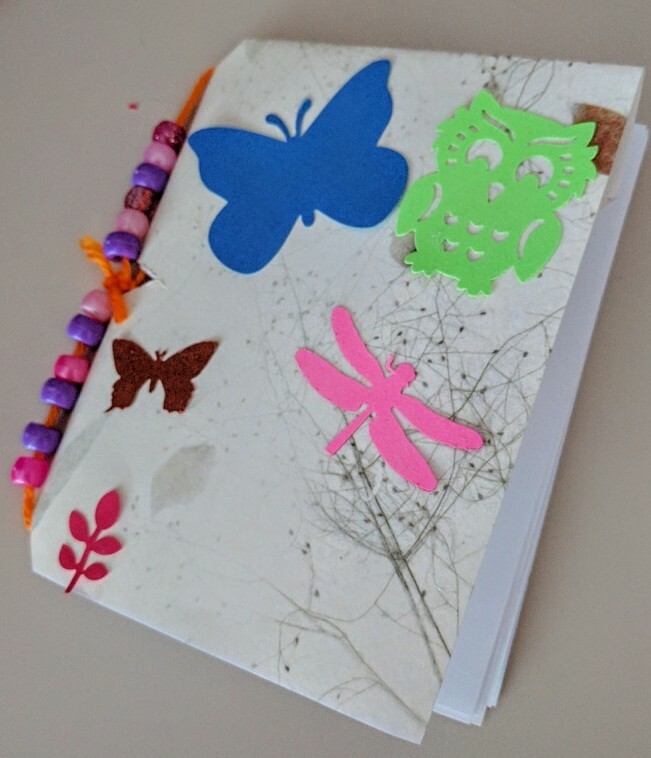 Second and third graders will sew pages together, attaching beads on the spine, and using specialty papers for the book cover, and paper punched winged things as embellishments. 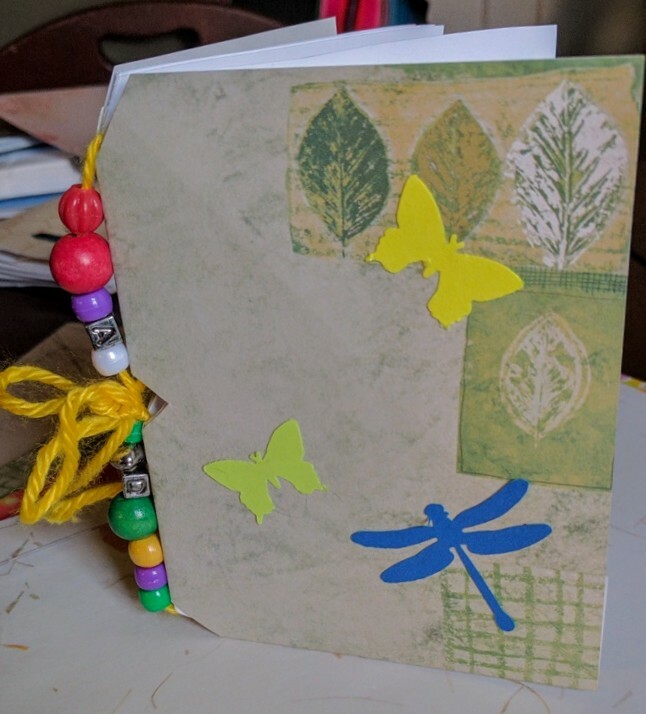 The inside cover of the book has pockets, and more embellishments. The theme of this week at the school is roots and wings. 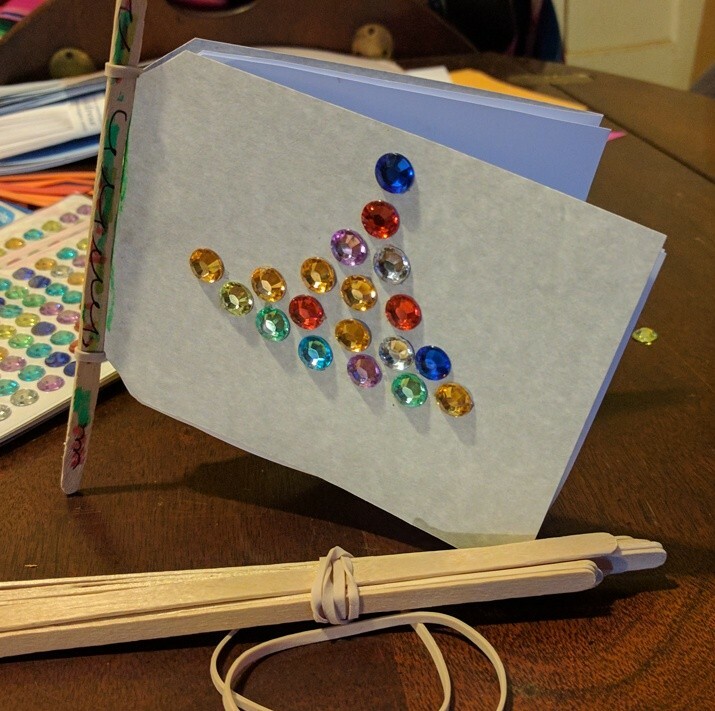 Kindergartners will be making a book on a stick. 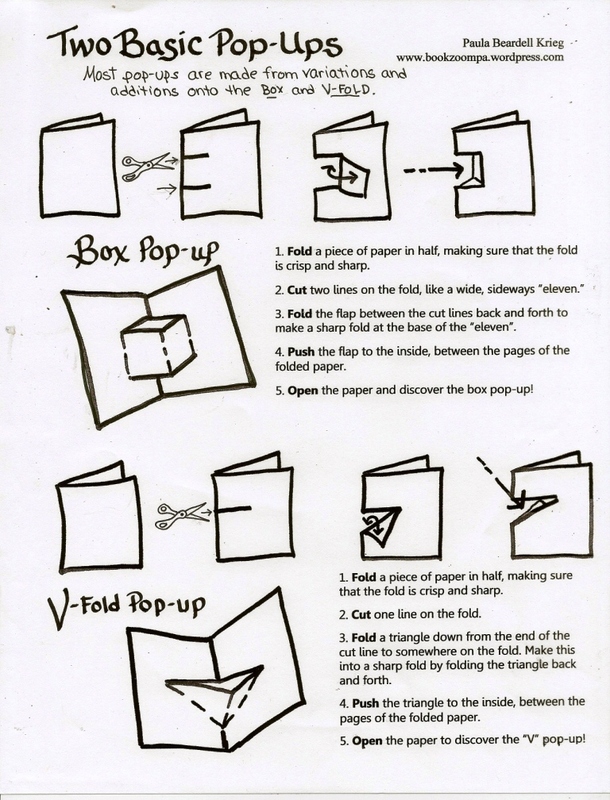 These are long half-sheets of paper, folded in half (closed, the book block measures 5.5″ x 4.25″), bound with a #33 rubber band. The sticks are like the stir-sticks that Starbucks has out on creamer counter. If we can find sticks from outside to use, I’d like that. 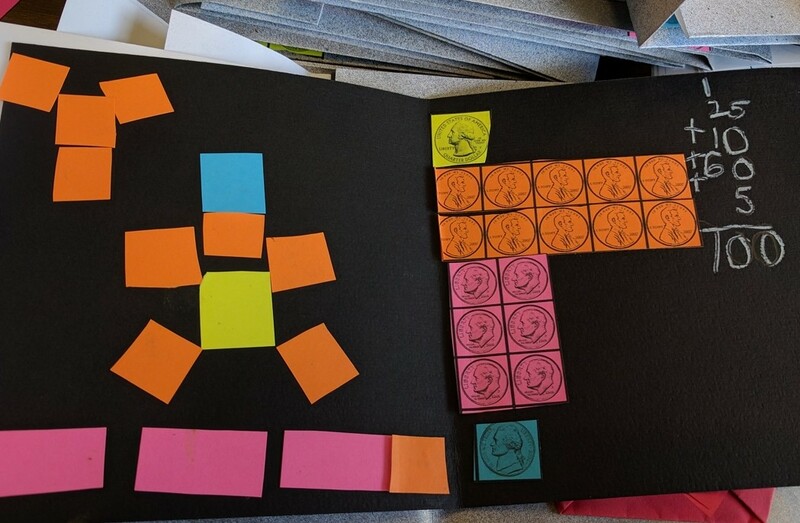 A big part of my thinking in putting together these projects is trying to get students to see that they can make a book anytime they want, using available materials. 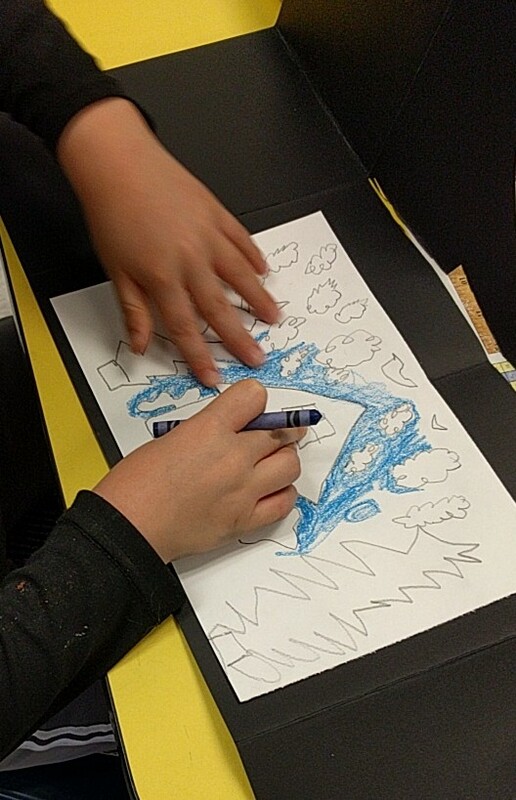 The pre-k crowd will be making these stab “sewn” books with this fun sky paper on the cover. 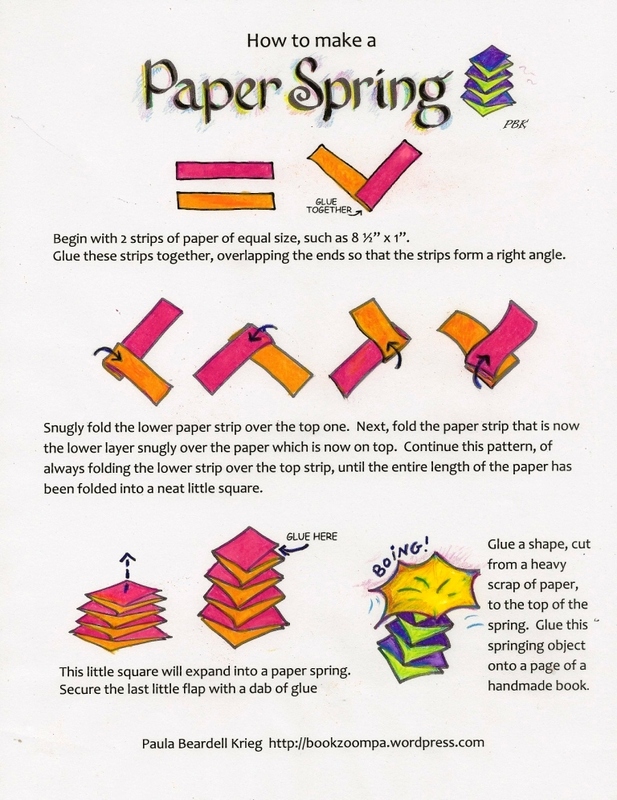 Instead of threading anything, they will use craft pipe-cleaners for the binding. 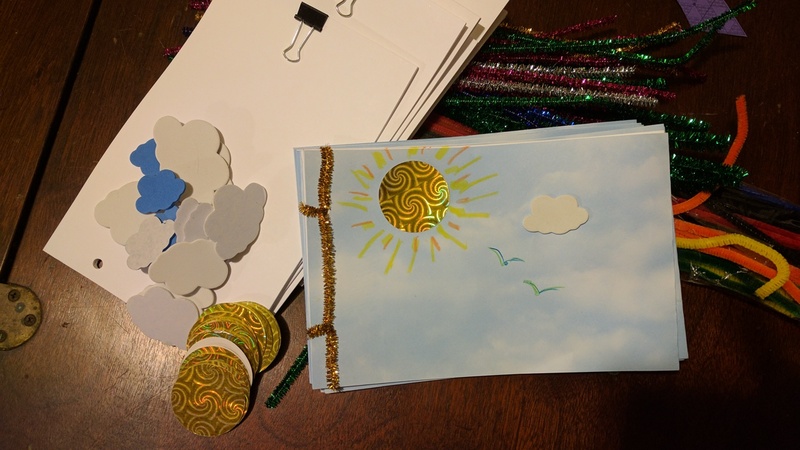 Decorate with stick-on clouds, a few simple birds in flight?, and a one and three-quarter inch radiant sun. Finally, now packing my first project of the day. This is for the fourth and fifth graders. 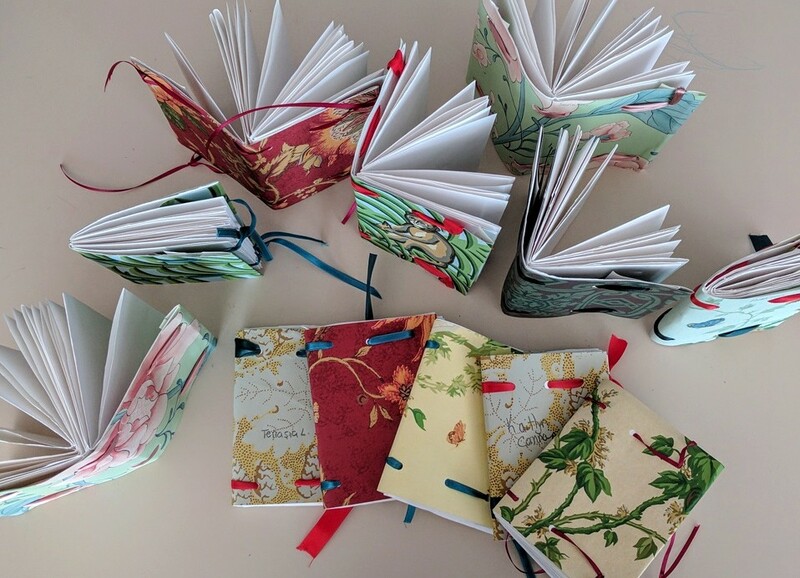 It’s a four-signature book (each signature is an origami pamphlet folded from 11″ x 17″ paper) sewn together with shoelace tipped yarn. 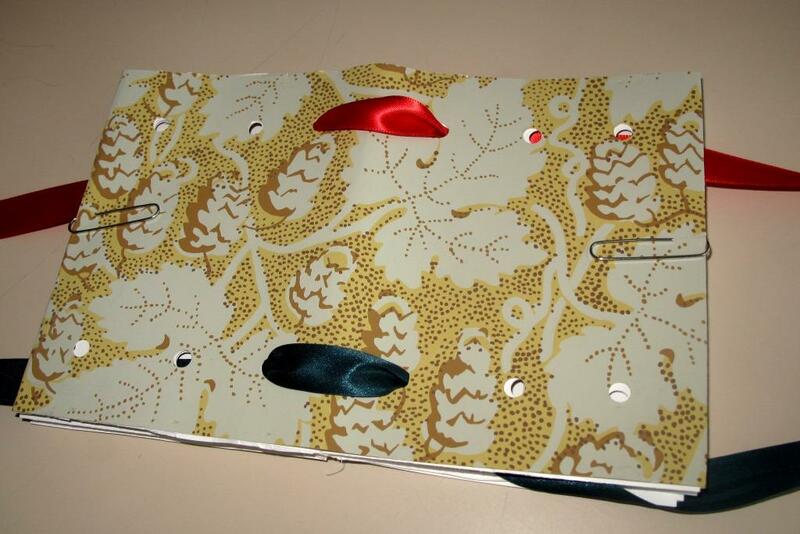 The holes will be punched with a regular punch, as are holes in the cover that the ribbons are threaded through. 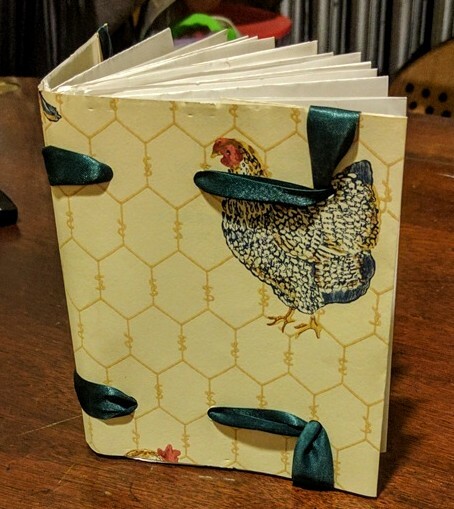 It’s the ribbons that hold the cover to the book block. The covers are wallpaper samples pieces. I have a pile that the kids can choose from. 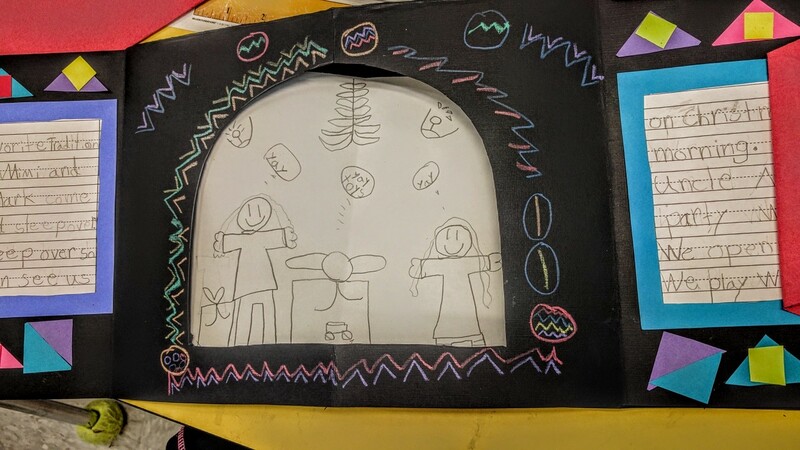 Okay, now to remember to pack glue sticks, scissors, and then pack up the car and g o t o s l e e p .
Oh my gosh, working with second grade students is so rich. 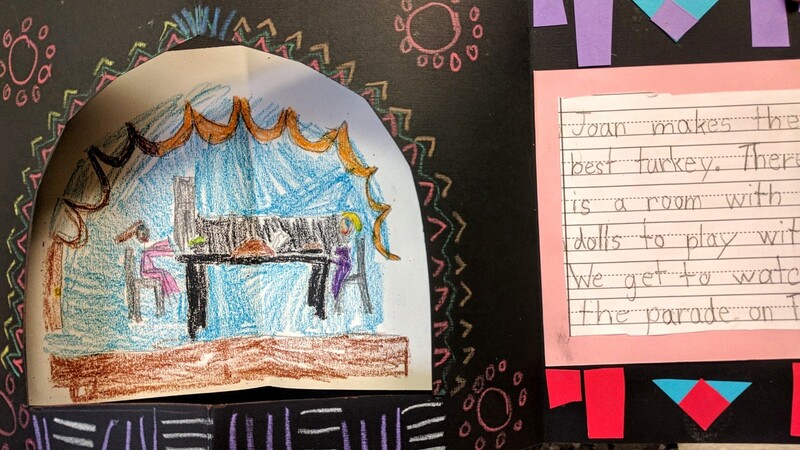 They have skills, they are enthusiastic and uninhibited, and tapping into their learning curve is delightful. 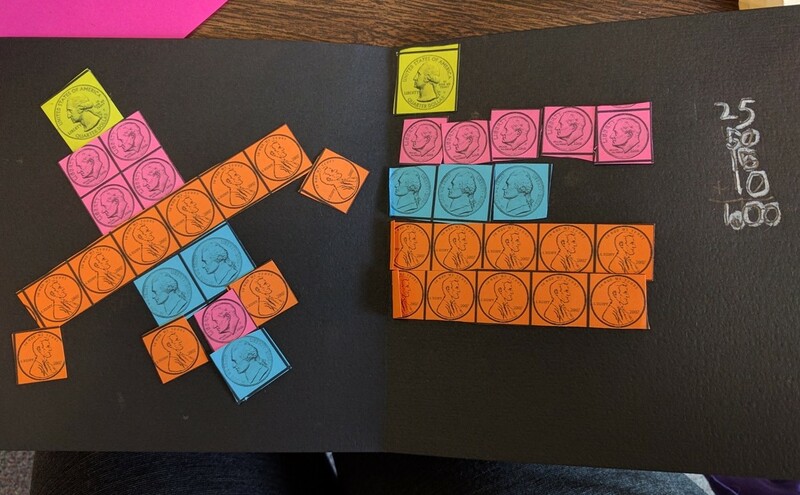 Short recap: students were given images of coins, which add up to $3.00, from which they chose $1.00, or 100 cents, worth of coins to create a design. These students hadn’t started studying money yet, which was fine. Most students seemed to understand how much coins were worth, though certainly a few students had no idea about the value of coins. It was fun, when adding up the value of nickels, to say, Now you know why it comes in handy to count by fives. 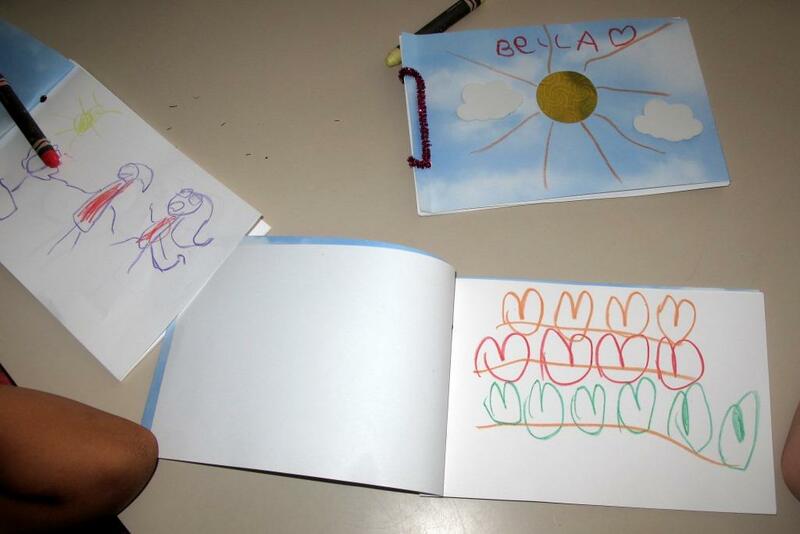 Making the wallet-book to house the 100 cent images, then making the images was what we got done on the first day. Separating out 100 cents was certainly the most challenging part of the project. The designs flowed freely. 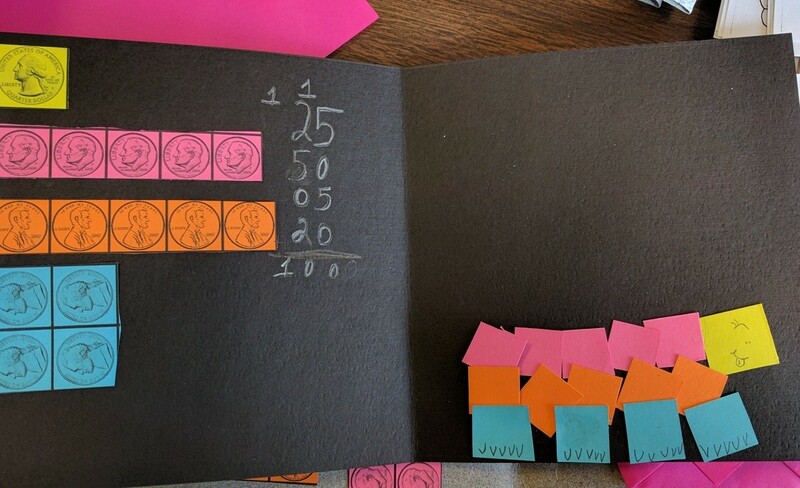 Day 2 was a bit more challenging, but I think that the toughest part was just communicating to them what I was looking for, which was for the students to make matching arrays of the coins that they used in their designs, then providing the equation which showed that the value of the coins equal 100. Turns out that this array-making uncovered a few mistakes. For instance the airplane pictures above was five cents short, so he added a nickel on to the bottom and all was well. There was a wide range of simplicity to complication of images. 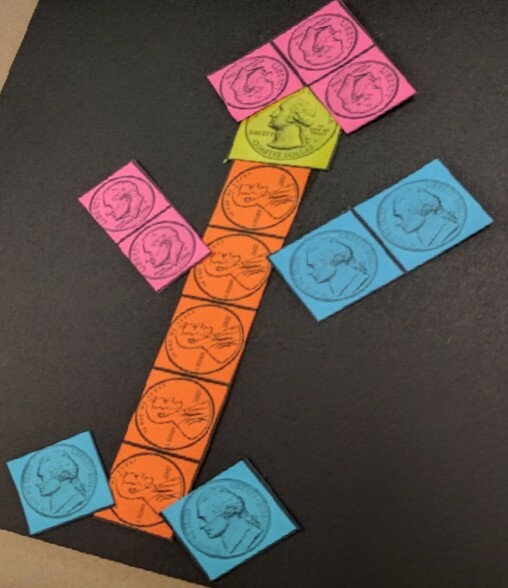 If students didn’t have enough coins of a certain value left from their original 300 cent to making the matching array, they would exchange change with another student, at least that was the plan, which worked fairly well. 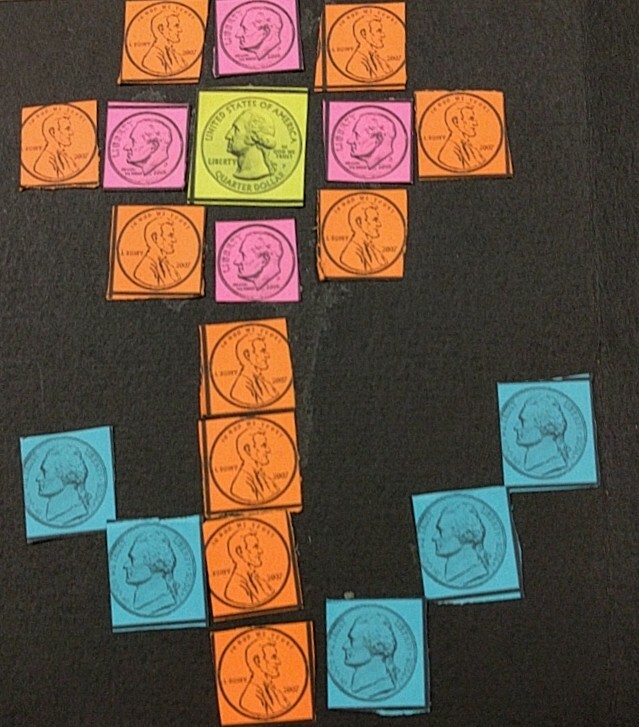 I did bring lots of extra coins, for moments when it seemed better just to hand students what they needed. Still, everyone should have had 100 cents left over. These coins got glued on to a pocket of their wallet book, along with a statement of the value of these coins. 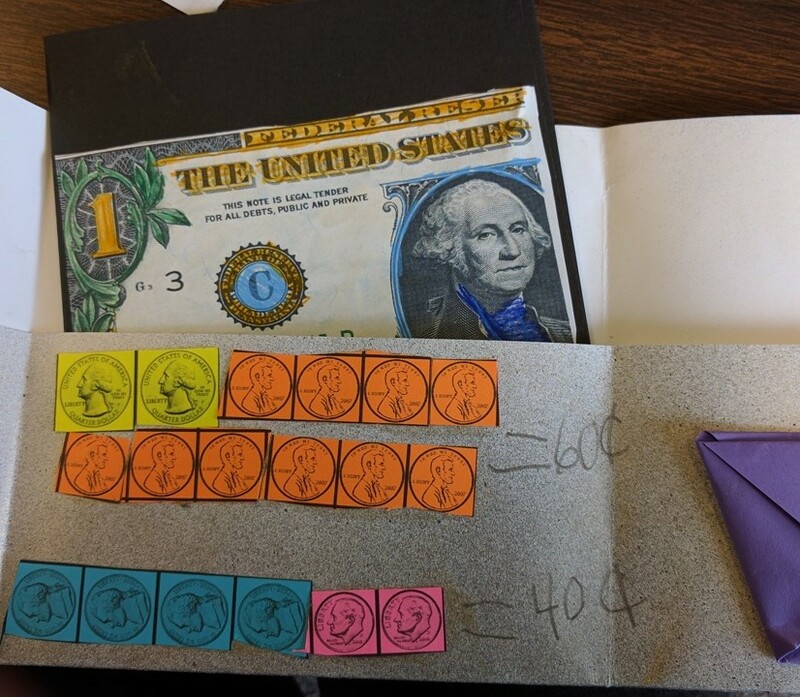 That little black folder that contains the 100 cent image now has an enlarged section of a colorful buck glued on to the front. After all that figuring and adding, it was great to end yesterday’s class with some playful coloring in. Okay, one more day with these students. 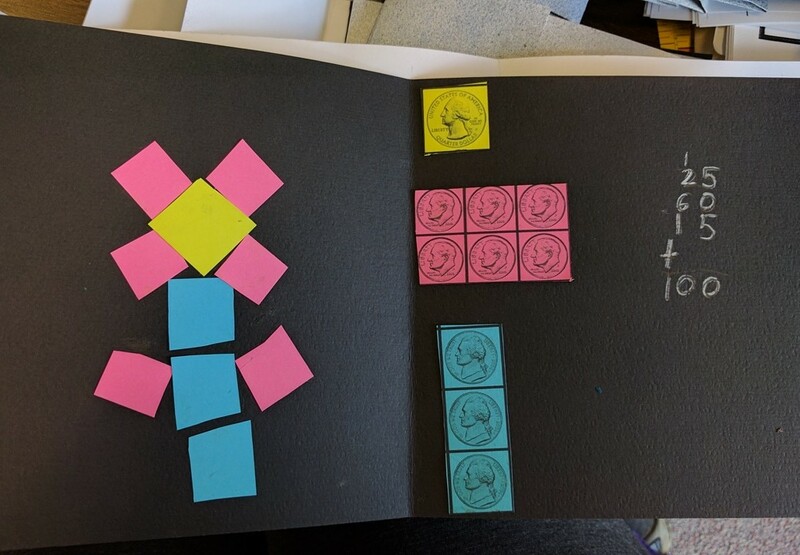 The next piece that goes into the wallet-book has to do with combining shapes to make other shapes, much in the same way that we combined values of coins to make other values. 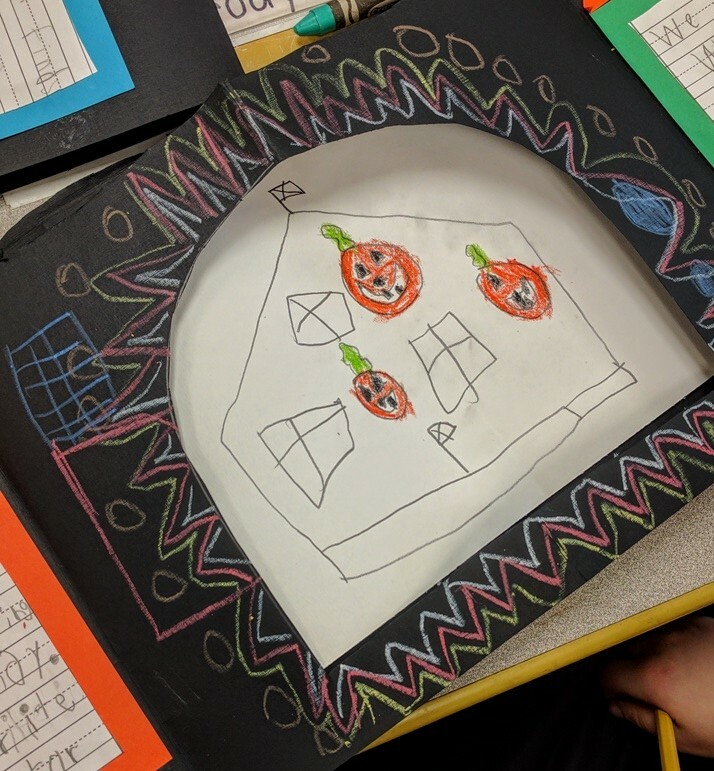 The most joyful moments during these days is having this opportunity to be a part of these early moments of learning about addition. When students say that they can’t get their numbers to add up to 100, though they know that they do, I can sit with them and help them sort out what’s going on. It’s so illuminating for me hear them tell me what they’ve done, and then to help them see another way of interacting with the numbers. 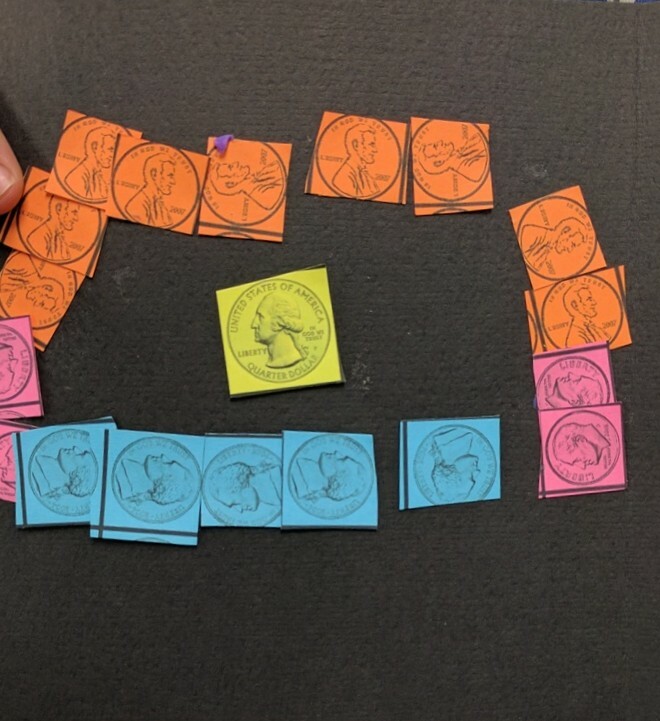 AFter teaching this many times, one of the biggest changes I’ve made to this project is to hand out only $1.50 in coins at first, from which the students pick and choose and count to make their $1.00 designs. They each get 10 pennies, 6 dimes, 6 nickels and two quarters. Then I give out the appropriate number of coins in arrays for the second page. BIG TIP: Before teaching this class I encourage the teachers to get the kids practice doing their skip counting starting at a place other than zero. Also, I think it would be helpful for kids to skip count by 25’s before starting their money unit.